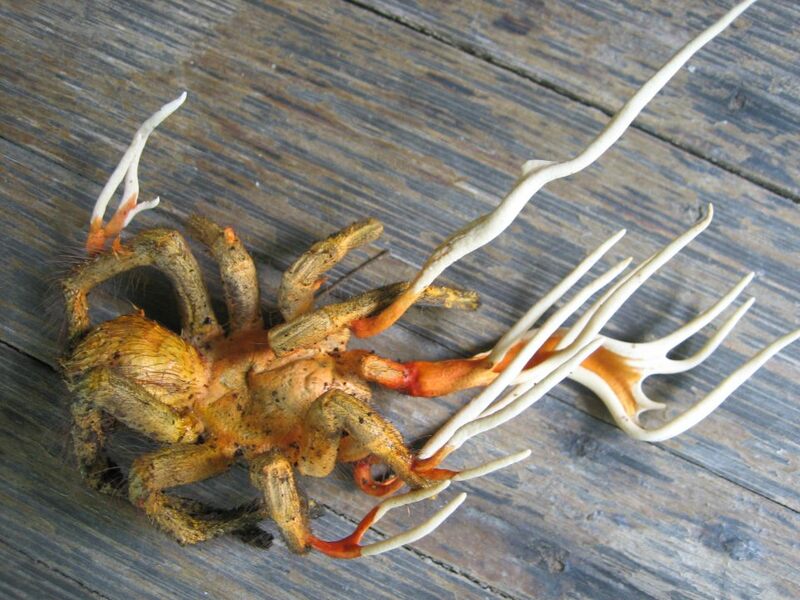 As if spiders aren’t hideous enough; this one is infected by the parasitic fungus Cordyceps. This fungus invades its host and replaces the host’s tissue with its own. In some cases Cordyceps can even alter its host’s way of thinking and make the host travel to an environment where the fungus will have optimal chances for growth. This will obviously lead to the death of the host. Horrendous, isn’t it? Yet this is how many of our spirits look. Even though we may be saved we allow sinful desires to lead us astray into more and more sin and death. God calls you to walk in the Spirit. If the Spirit is not directing you, then you’re being led by something other than God. Actively and persistently take steps to be led by the Holy Spirit. Seek Jesus’ leadership in all areas of your life. Even though the tug of doing what you want can be so strong, your Lord calls you to follow Him. It is possible to resist the enemy’s attacks, but not if you are allowing him to latch on to you!